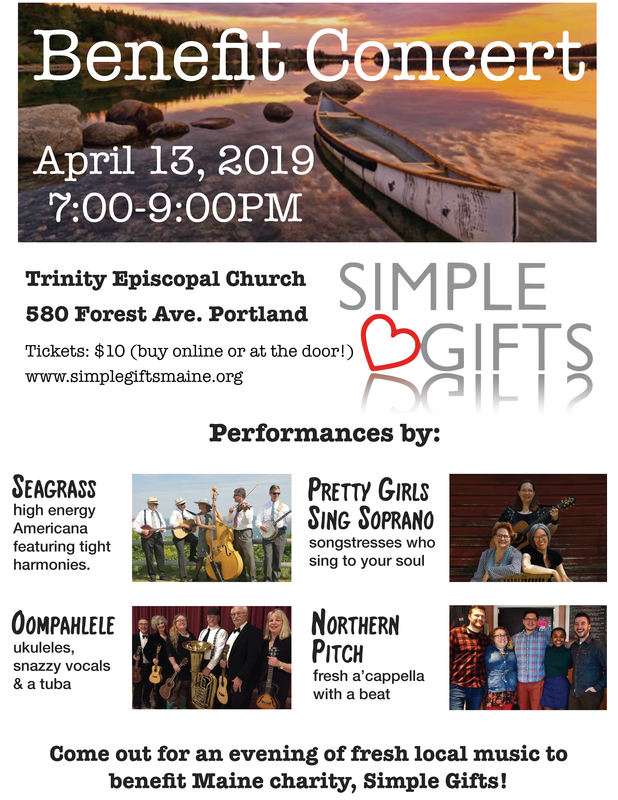 Simple Gifts will hold its annual concert fundraiser at the Trinity Episcopal Church on Forest Avenue in Portland on Saturday, April 13 at 7 pm. 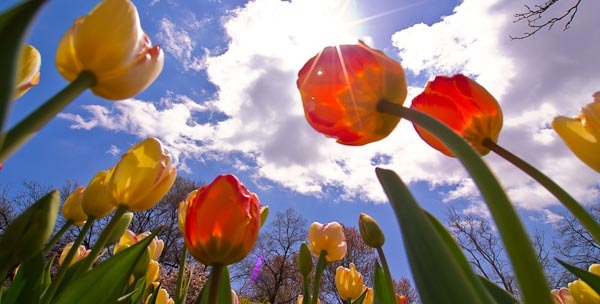 Featured will be Seagrass, a world-class bluegrass band, the amazing harmonies of Pretty Girls Sing Soprano, Oompahlele, a ukelele group featuring a tuba, and a capella group Northern Pitch. Check out our concert flier here. Tickets can be purchased at the door, using the link below, or by calling 712-2028. 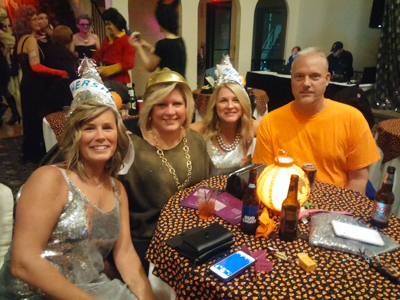 The Italian Heritage Center on Saturday, October 20, again hosted party goers in creative and festive costumes for the Sixth Annual Simple Gifts Fun-Raiser Boo Bash. Celebrity host Shannon Moss, as the Pirate Queen, emceed the affair accompanied by celebrity guest, Eddie Ezzard as super L.A Laker fan Jack Nicholson. A special dance award was spontaneously awarded to young Garrett Vogl of Jay, who wowed the crowd with his spectacular dancing as the Wolf Boy. The event was another great success– raising almost $9,000! Many thanks to all our generous sponsors, especially the New England Cancer Specialists who have been Simple Gifts Angel Sponsor at the $2,500 level for the past five years, contributors, attendees, Aaron Filieo our DJ, our photographer Amanda Betts, Curry Printing and the Law Offices of Joe Bornstein for promoting the event again on the Time and Temp building. A very special thanks to all who helped decorate the Italian Heritage Center. An enthusiastic crowd of about 150 people turned out for the concert fundraiser on March 3. The fun ukulele group Oompahlele opened the show with a moving version of "Over the Rainbow" and ended its set with a raucous rendition of the "Theme from Rawhide." Pretty Girls Sing Soprano followed with their beautiful harmonies and received a standing ovation after their closing number, "Ain't No Grave." Seagrass then rocked the sanctuary with the likes of "Foggy Mountain Breakdown" and other bluegrass tunes. All three groups joined in the finale, "Ring of Fire." At $10 a ticket, a better entertainment buy will not be found anywhere. In all, after expenses, over $1,300 was raised for Simple Gifts. Many thanks to the three musical groups, the pastor and staff of Trinity Episcopal Church, and all the facilitators and volunteers who made this event a success! 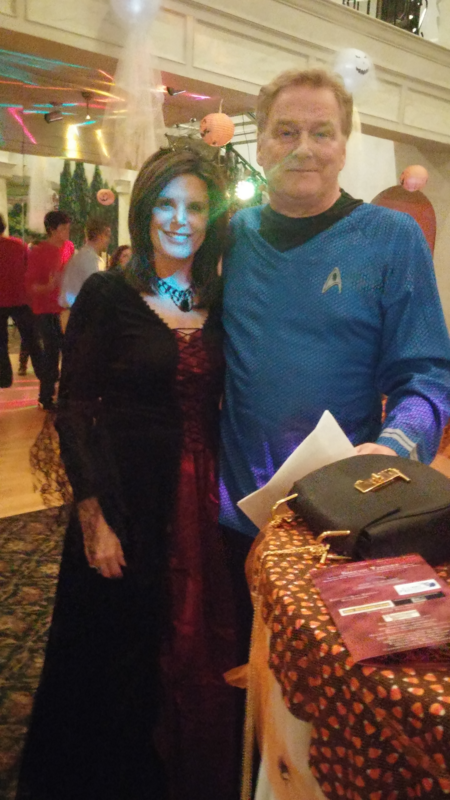 Fifth Annual Boo Bash another huge success! 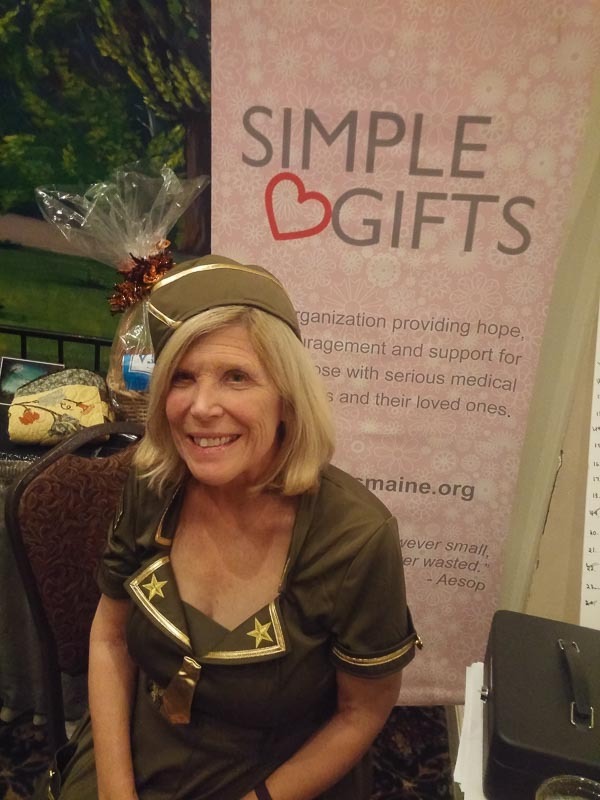 Simple Gifts 2017 Boo Bash was another great success– raising over $10,000! 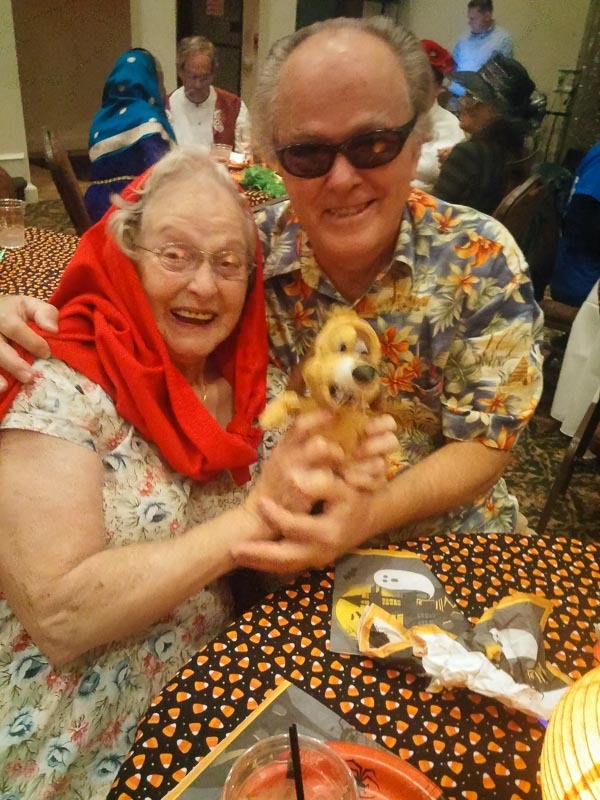 The Italian Heritage Center on Saturday, October 21 hosted party goers in creative and festive costumes. Celebrity host Shannon Moss, decked out as a Cleopatra, emceed the affair accompanied by celebrity guest, Eddie Ezzard as a vacationing Jack Nicholson. 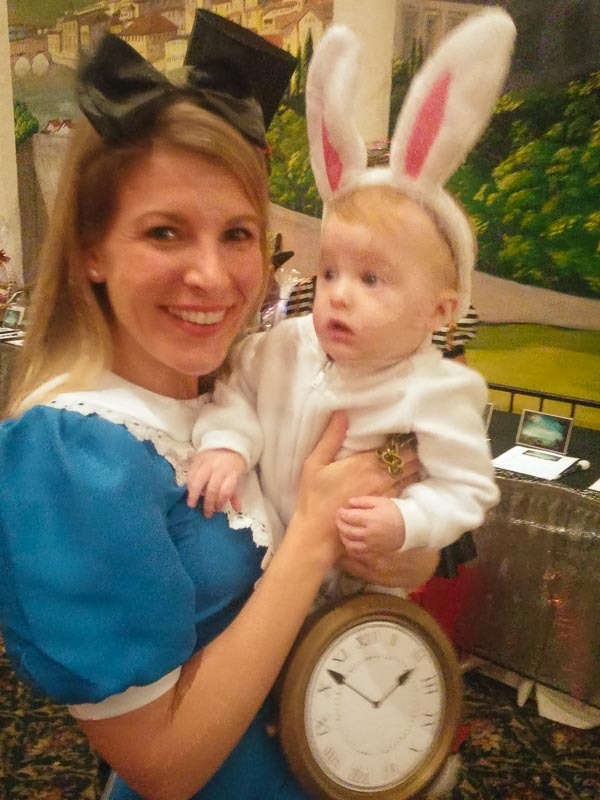 Best costume was awarded to the Dearborn family with an Alice in Wonderland theme with Dez as Alice, Nate as the Mad Hatter, mother Claudia as the Queen of Hearts, and little Collin as the Rabbit. The event featured a new video about Simple Gifts produced by Groff Films with comments by board members, social workers and a recipient. Many thanks to all our generous sponsors especially the New England Cancer Specialists who have been Simple Gifts Angel Sponsor at the $2,500 level for the past four years, all sponsors, contributors and attendees, Aaron Filieo our DJ, our photographers Amanda and Jarod Betts, the Law Offices of Joe Bornstein for promoting the event on the Time and Temp building, and a very special thanks to all who decorated the Italian Heritage Center. The first ever concert fundraiser for Simple Gifts was held at Trinity Episcopal Church on March 18, and was a huge success. About 125 people attended to hear performances by Oompahlele, EckoVox, Pretty Girls Sing Soprano, and Seagrass. The sanctuary was a beautiful backdrop, and the sound produced by the four groups was awe-inspiring. The show ended with members of all four groups and many of the attendees joining in a rousing rendition of "Wagon Wheel," after which the performers received a standing ovation. The benefit raised about $1,200 for Simple Gifts. Many thanks to the board and to all others who helped out, but especially to the church for letting us use the facility, and to the Portland Phoenix and WGAN radio, for promoting the event free of charge. 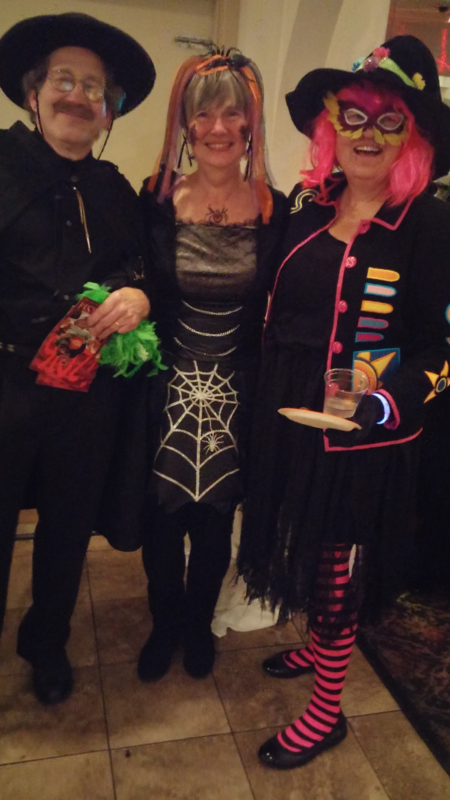 Fourth Annual Boo Bash was a huge success! 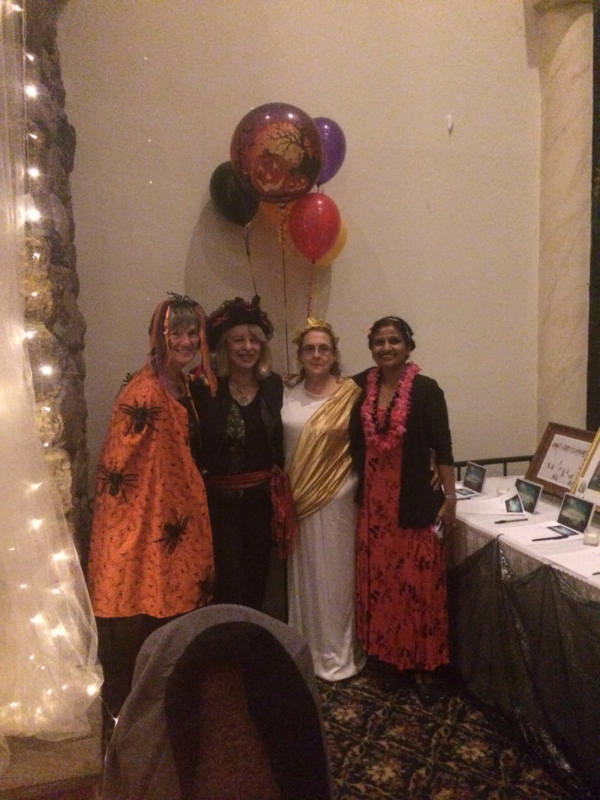 Simple Gifts' 2016 Boo Bash was the most successful ever, raising over $10,000! 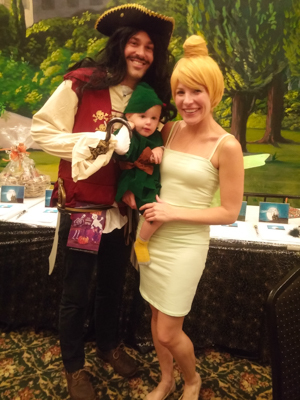 Held for the first time at the Italian Heritage Center on Saturday, October 15, the event hosted partygoers in creative and festive costumes. Celebrity host Shannon Moss, decked out as a beautiful 20’s flapper, mc’ed the affair accompanied by celebrity guest, Eddie Ezzard as the ubiquitous Jack Nicholson. 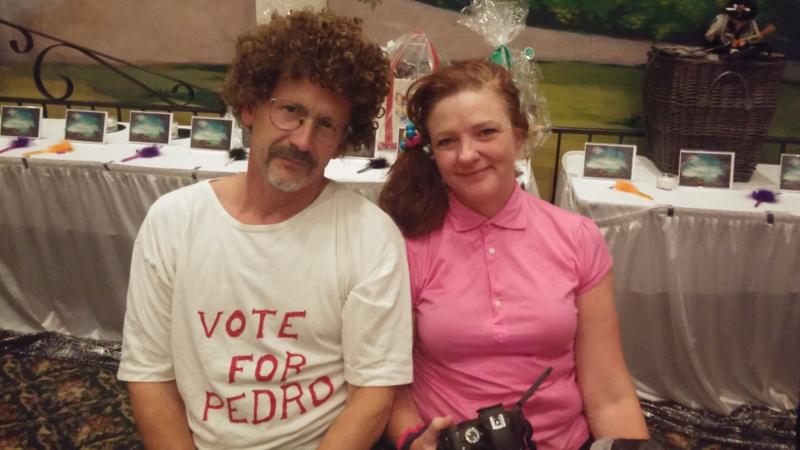 Best costume was awarded to Greg and Sue Sawyer and Mary Ann and Rick Emmert whom came chained together as a “prisoners of love” chain gang. A very close second was Mary Tibbetts, who came as Harley Quinn from the movie Suicide Squad. 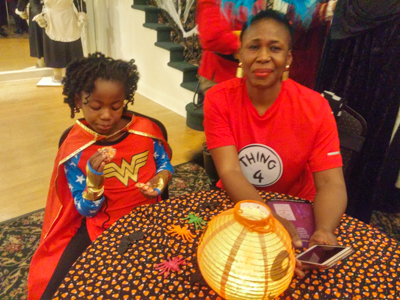 The event featured a personal and moving speech by May Bubar, designer of the Boo Bash program, and an early Simple Gifts recipient, who attended with her husband and three children as special guests. May spoke of her time at MMC and the support that Simple Gifts gave her family during this difficult time! Many thanks to all our generous sponsors especially the New England Cancer Specialists who have been Simple Gifts Angel Sponsor at the $2,500 level for the past three years, all contributors and attendees, and a very special thanks to all who decorated the Italian Heritage Center. Assistant Vice President Linda Cohen of Bangor Savings Bank Mill Creek branch presents a $1,000 check to board members Tony and Mary Irace in May 2015. 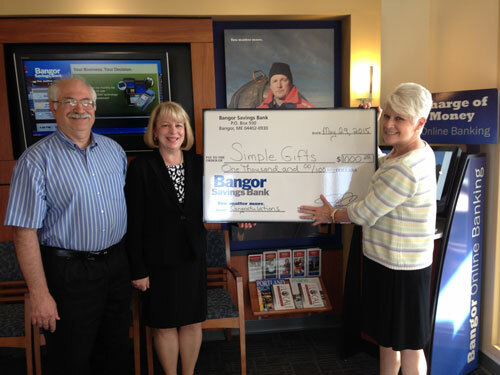 Simple Gifts was one of six non-profits to receive an award from Bangor Savings Bank Foundation's Community Matters More program. 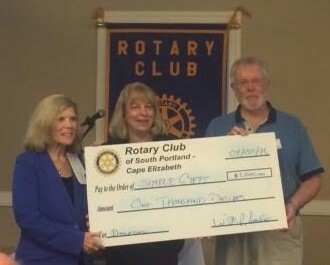 In July of 2016, South Portland/Cape Elizabeth Rotary made a $1,000 donation to Simple Gifts. Pictured from left to right are Vice President Sue Hilton, Rotary President Bill Anderson, and Simple Gifts President Mary Irace. Thank you, Rotarians, for your generous support! In each of the past four years, from 2012 through 2015, Simple Gifts was awarded a $1,500 grant by the Margaret E. Burnham Charitable Foundation. We are grateful for their generous support since our very first year of operation! A dad in the Bangor area with a wife and two young children who received cancer treatment at MMC and additional surgery in Boston received $100 in gas cards and a $100 Hannaford gift card as he was concerned about having the gas to return home from Boston and feeding his family until he could return to work. A retired veteran was critically ill and his wife was struggling with gas money and rides to the hospital to be by his side. Simple Gifts stepped in on several occasions to provide them with gas cards to make the visits possible. Danielle, a, social worker at MMC Pediatric Associates, noticed a family with four children (the youngest a 20-month-old with a chronic gastrointestinal illness) needed grocery and gas gift cards and also six pairs of boots for the family for winter). Simple Gifts provided a $100 grocery card and $25 gas card and partnered with Lamey Wellehan’s Store to provide the six pairs of boots for the family. A woman needing life-saving cardiac treatment was rushed down to MMC from Madawaska by ambulance and Simple Gifts provided 15 $5 MMC cafeteria vouchers ($75 in all) so her daughter could eat while she kept vigil by her mother’s side. Also Simple Gifts gave a $100 gas card so a neighbor from Madawaska could bring them back home by car after her cardiac treatment (they had no car as they had come by ambulance and the bus trip would more difficult and expensive). A wife, who works as a waitress, travelled 60 miles round trip for 50 days to visit her husband in the hospital as he received treatment for Acute Myloid Leukemia. Her husband had to take an unpaid leave from his janitorial job. They are praying for a remission so he can have a bone marrow transplant (Dana Farber found a match). Simple Gifts gave them a $100 gas card and a $100 Hannaford grocery card. A woman at Cary Medical Center in Caribou received $175 in gas cards to go for cancer treatments at Eastern Maine Medical. Thanks so much to all our donors for their support!